Located on 4/F & 3/F North Wing of PolyU Library, i-Space is a group work space, where “i” stands for Inspiration, Ideation and Implementation. The Inspiration and Ideation zones are purposefully designed to inspire and stimulate creativity and curiosity through interactive and multidisciplinary collaboration. 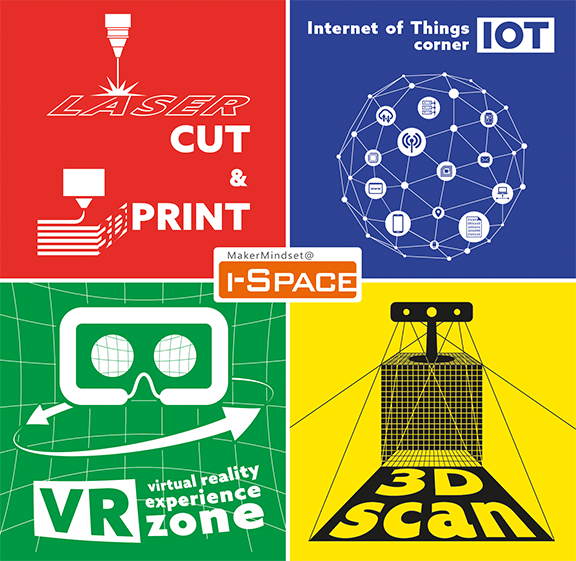 With i-Space facilities, Digital Visualisation Room, Makerspace and Studio available in the Implementation Zone, the students can build prototypes and make video to actualise and present their ideas in one go. Please find below more i-Space information, services and facilities. You may also reserve a consultation appointment for introduction of i-Space services and equipment.